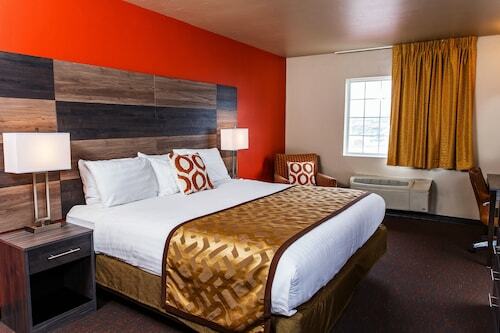 This family-friendly Green Bay hotel is located in the entertainment district, within a 10-minute walk of KI Convention Center, The CityDeck, and Brown County Courthouse. Bay Beach Wildlife Sanctuary and Neville Public Museum are also within 2 mi (3 km). 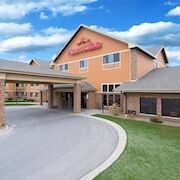 Situated in Green Bay, this hotel is within 6 mi (10 km) of Joannes Stadium, Bellin Health Hospital, and Brown County Courthouse. 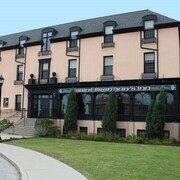 The CityDeck and Neville Public Museum are also within 6 mi (10 km). 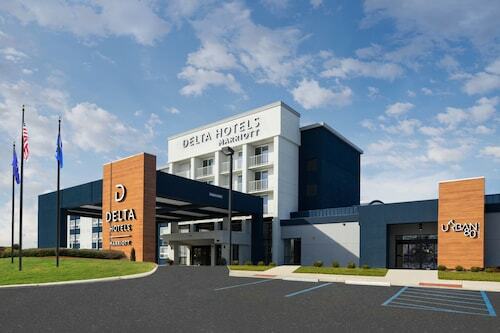 Situated near the airport, this hotel is within 3 mi (5 km) of Oneida Casino, Bay Park Square, and Titletown. Northeast Wisconsin Technical College and Green Bay Botanical Garden are also within 3 mi (5 km). 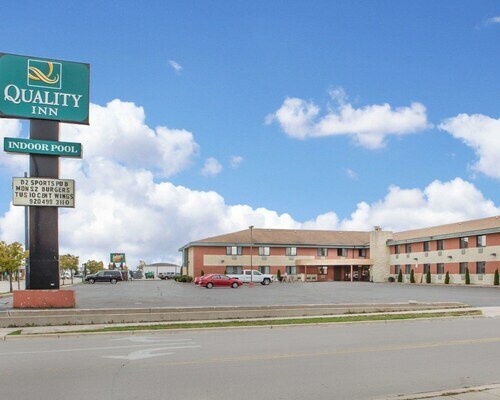 Right off I-43, Country Inn and Suites Green Bay East is within 13 miles of Lambeau Field, home of the Green Bay Packers, and Oneida Bingo and Casino. 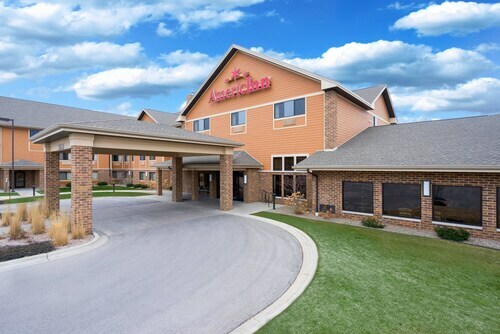 Situated in Green Bay, this hotel is 1 mi (1.6 km) from Bay Park Square and within 3 mi (5 km) of Lambeau Field and Resch Center. National Railroad Museum and Shopko Hall are also within 3 mi (5 km). 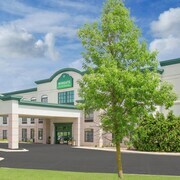 Located in the heart of Green Bay, this hotel is within 3 mi (5 km) of Bay Park Square, Lambeau Field, and Resch Center. National Railroad Museum and Shopko Hall are also within 3 mi (5 km). 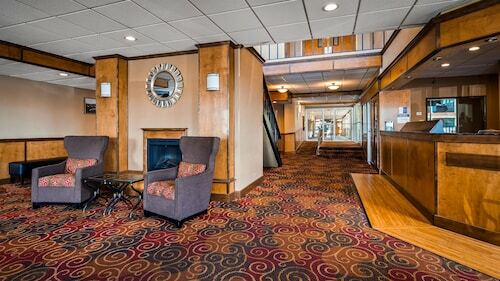 This family-friendly Green Bay hotel is within a 10-minute walk of Brown County Courthouse and The CityDeck. Neville Public Museum and KI Convention Center are also within 15 minutes. 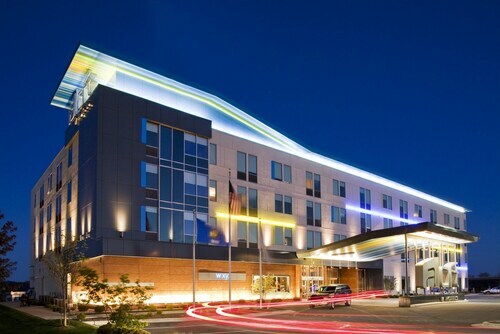 Situated in Green Bay, this hotel is within 3 mi (5 km) of Bay Park Square, Lambeau Field, and Resch Center. National Railroad Museum and Shopko Hall are also within 3 mi (5 km). 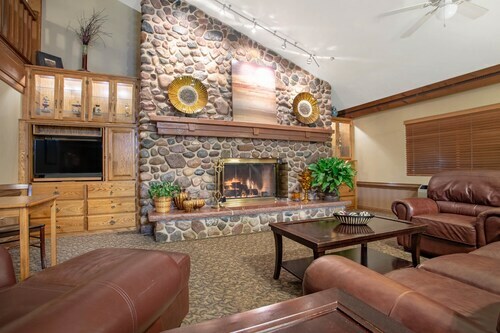 This family-friendly Green Bay hotel is located near the airport, within 1 mi (2 km) of National Railroad Museum and Bay Park Square. Lambeau Field and Resch Center are also within 3 mi (5 km). 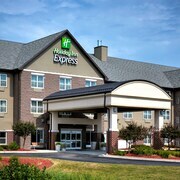 Situated in Green Bay, this hotel is within 6 mi (10 km) of Green Bay Botanical Garden, Lambeau Field, and Resch Center. Neville Public Museum and KI Convention Center are also within 6 mi (10 km). 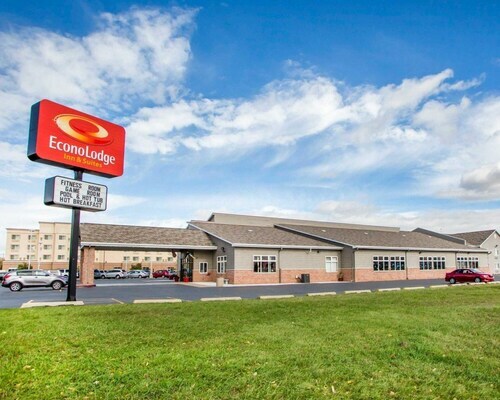 Situated near the airport, this hotel is within a 10-minute walk of Shopko Hall, Lambeau Field, and Resch Center. Green Bay Packer Hall of Fame and Brown County Veterans Memorial Arena (Brown County Arena) are also within 10 minutes. 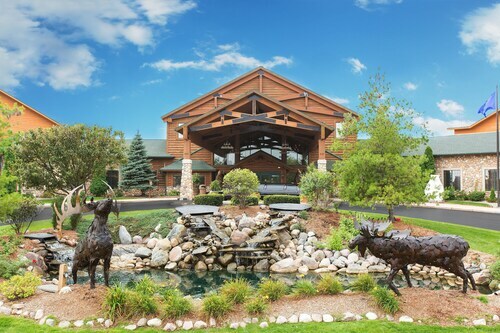 This family-friendly Green Bay hotel is located near the airport, within 3 mi (5 km) of Green Bay Botanical Garden and Northeast Wisconsin Technical College. Titletown and Thornberry Creek at Oneida are also within 6 mi (10 km). Are you looking for a break from the hustle and bustle of your day-to-day life? Do you want to escape reality and forget about your never ending to-do list? 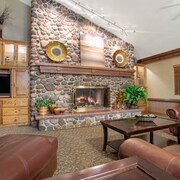 Then why not treat yourself to a relaxing stay at one of the spa hotels in Green Bay? Whether it is for a weekend getaway or a staycation, book your visit to one of the Green Bay luxury spa hotels. With all of the amazing things to do around Green Bay, you will likely be worn out from sightseeing. 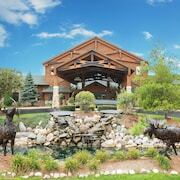 The Green Bay spa hotels provide top of the line facilities with hot-tubs, saunas and private treatment rooms. Treat yourself to an indulgent hot stone massage or facial to rejuvenate from a busy day. If that's not enough for you, indulge in a full day-at-the-spa package. And maybe you are just looking to reach maximum relaxation before a fancy night out on the town. Take advantage of the salon features offered at most Green Bay spa hotels and get a mani-pedi before your evening begins. Travelocity wants to help you relax and rejuvenate during your next stay in Green Bay, but we know that spa treatments can put some strain on your wallet. Bundle your hotel and flight together and save enough to pay for your facial! Friendly staff, room was clean and somewhat updated. Breakfast was typical with options for cereal, waffles, bagels and they had an gentleman making fresh omelets. Hot tub/pool area was clean. The workout room was nice, however one treadmill was broken, not the end of the world. Overall, a very pleasant stay for the price! 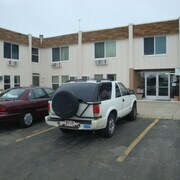 Days Inn & Suites by Wyndham Green Bay WI.